Hand delivered and complete in a vase. Yellow roses and foliage. (The container may vary. ) 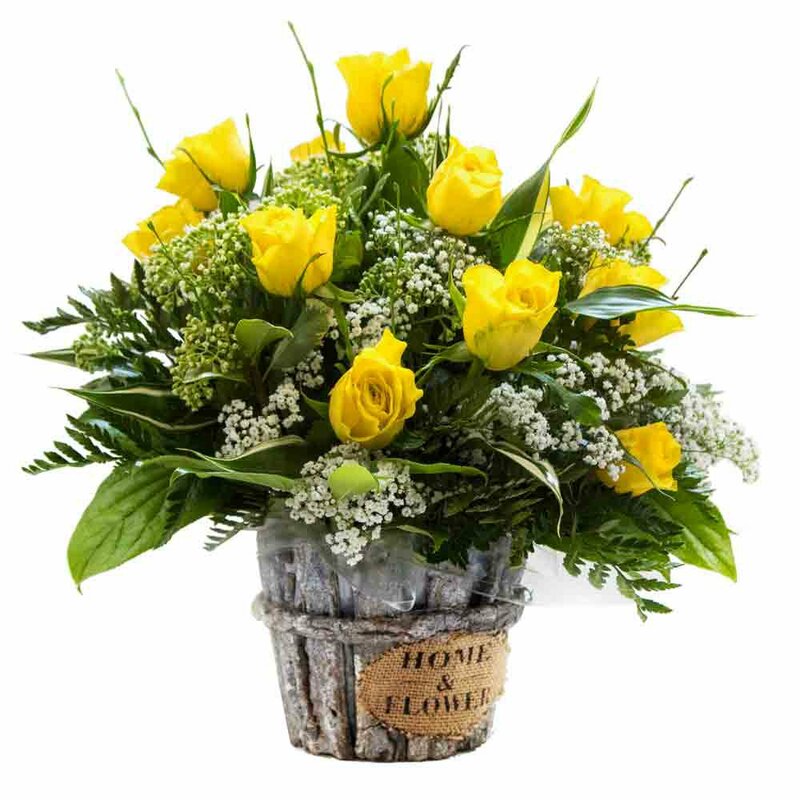 This arrangement is handcrafted by a professional florist, in some cases, variations from the image represented here may occur also depending on season.